Kale. I’ve seen pictures across the Internet and a little here and there in my recipe book collection. But until today I have never had it before. I made quick work to fix this when I found some at market this afternoon. 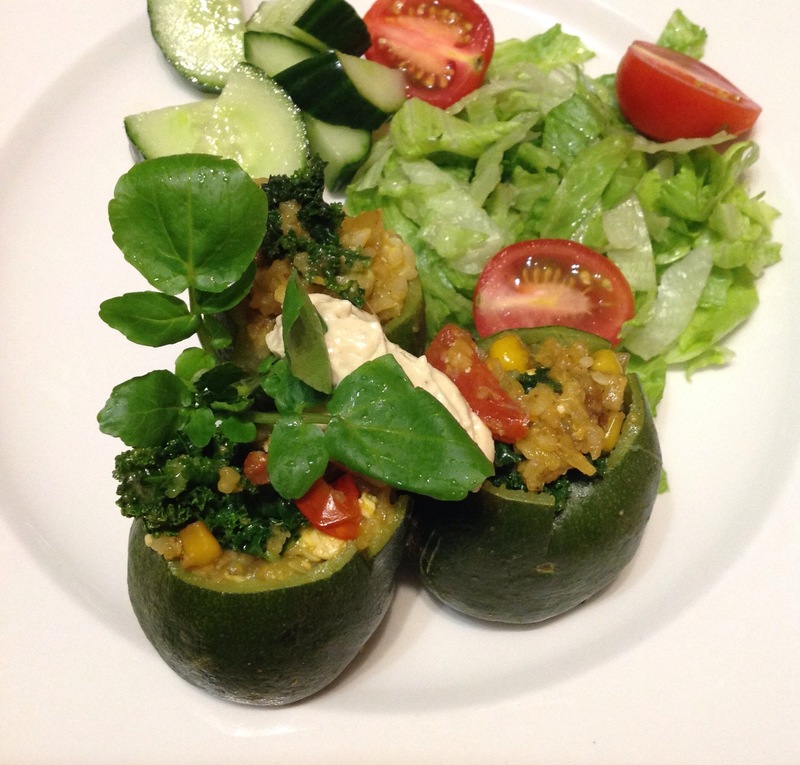 For this Meat-free Monday dinner I made marrows stuffed with kale palak a very easy and satisfying rice dish. Cook 1 cup of Basmati as per instructions and set aside. Saute the onion in a little bit of coconut oil. Once it starts to soften, add in the garlic and all the spices. 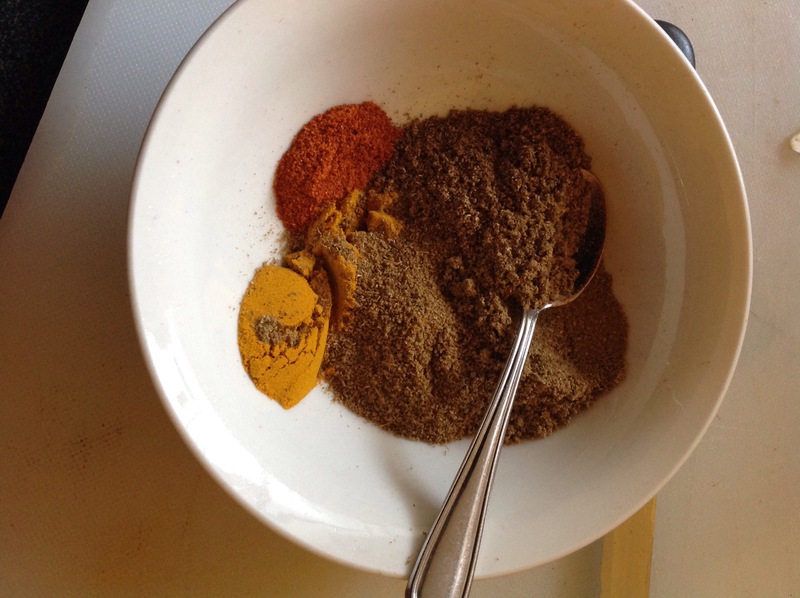 Cook the onion spice mix for a few minutes to release all the aromas before adding the tomato paste and finally the tomatoes. Stir in the rice. 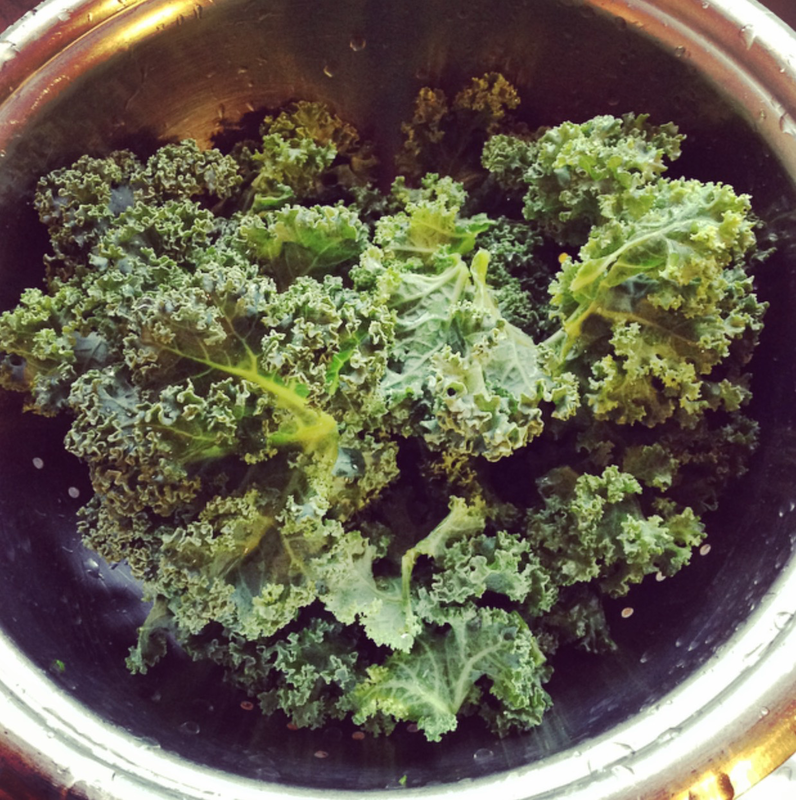 Heat a new pan and fry the kale with a little coconut oil until it starts to soften. Add the palak rice. Scoop out the flesh of the marrows and mix into the palak. Finally, fill the marrows with the kale palak, being careful to keep the marrows in tact. We had these beauties with a small amount of hummus which made absolute magic with my taste buds. Good luck with the garden, if you can get lavender and bougainvillea to grow, you certainly get enough sunshine! Lovely. We grow kale ourselves in the veg garden. One of the easiest cabbages to grow! Great flavor. Still can’t believe I never tried it before. I’m still trying to get my garden on the go. I absolutely love my little space, but can’t get anything except the lavender and bougainvillea to grow. Even my ‘work-like-a-charm’ peas aren’t getting on the go. We’re putting in almost 200 pounds of compost today which I hope will make a big difference. Next up my raised garden. Definitely putting some kale in there!